Friday night. It’s Saturday tomorrow and a new moon day. This is when I often ask my self: what do I fancy? A cup of molten hot chocolate? A glass of wine? All the bread product you can fit in your grocery basket? A night out on the town with friends? We must learn to pulse and flow with the disciplined life. And this requires flexibility, too. 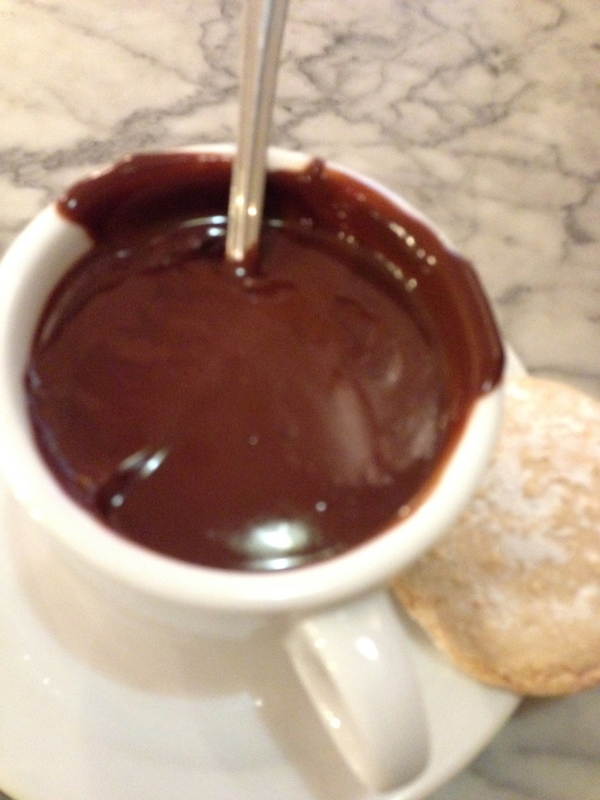 Photo: A special treat: surprising cup of (literally) hot chocolate at Cafe Nena in Gracia, Bareclona. Taken Friday morning, post practice. This entry was posted in Classes & Offerings and tagged Ashtanga, Days off, Moon days, Practice, Yoga by sisterhoodofthetravelingmala. Bookmark the permalink.